Lenovo now joins the mobile market after offering series of affordable Android smartphones. We first saw its brand name on laptops that hits last year, now we are seeing more from them as they enter to mobile world. Lenovo mobile phones now landed Philippines after we first saw their big time TVC starred with famous NBA player Kobe Bryant. Going back to the topic, Lenovo S890 is now available for the price that sets below 13000 pesos. 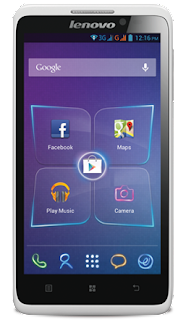 A 5-inch Android phone that runs on Jelly bean 4.1 OS, the screen is a large as Samsung Grand but the price is few bucks lower. Both has 1.2Ghz dual core processor, Lenovo S890 geared with Mediatek CPU and both of them sports 1GB RAM. What do you think of Lenovo S890 price? Just leave your comments below. If you want to avail this phone just visit your nearest Lenovo stores and resellers.